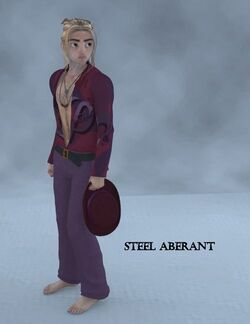 steel aberant is a complete outfit for David 3, created by adzan. It is made up of a pair of slacks and an open shirt. This page was last edited on 6 June 2017, at 16:36.